We will proudly display the websites of the communties we serve and websites that are important to us. If you would like to have your website linked to us, please contact us. The Lil'wat Nation / Mount Currie is 1 of the 10 communities served by the Stl'atl'imx Tribal Police. "The Lil’wat have never given or sold any of our land to any government or nation. Although settlers and colonial governments marginalized us from the land, we never relinquished our right (in law or in our hearts) to our home. In our endeavors to restore and preserve our rights we have earned a reputation for political resistance. We are willing to stand up for what we believe in — it is essential for the survival of the Lil’wat Nation. In 1911, the Lil’wat people joined First Nation communities throughout the region in signing the Lillooet Declaration at Spence’s Bridge. The declaration outlined the demands for the reinstatement of our right to our traditional lands and was a primary example of First Nations solidarity and political resistence. The issues raised remain unresolved 95 years later." For more informatoin, please visit Lil'wat's website. The N'Quatqua Nation / D'arcy is 1 of the 10 communities served by the Stl'atl'imx Tribal Police. "N’Quatqua was established as a Reserve under the Indian Act in September of 1858. N'Quatqua Band Office has been providing services to our Membership since our founding in 1987. It is our mission to promote and encourage families to create and maintain a healthy community. We support the development of self-governance while respecting our relationship with the land, culture and language. We believe the best way to achieve this goal is to honour and respect our lands and resources through a holistic approach. We will be committed to a strong, loving, healthy and sustainable community that will have a consistent approach to education, culture and language. That we will have a self governance system that will allow us to grow and meet our needs." For more information please visit N'Quatqua's website. The Xa'xtsa7 Nation / Douglas is one of the 10 communities served by the Stl'atl'imx Tribal Police. "Xa’xtsa is made up of two communities: Port Douglas, which is situated at the northern end of Little Harrison Lake, and Tipella which is on the west side of the Lillooet River. Xa’xtsa is the southernmost of the In-SHUCK-ch communities, and also of the entire St’at’imc linguistic group. The name 'Port Douglas' originates from the colonial period, when the town, one of the earliest to be established in mainland British Columbia, was erected adjacent to the present Xa’xtsa community in 1858. It was the starting point on the Harrison-Lillooet wagon road, also known in historic times as the Douglas Portage." For more information please visit Xa'xtsa7's website. 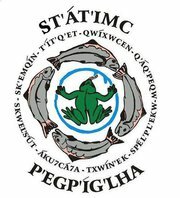 The Skatin Nation / Skookumchuck is 1 of the 10 communities served by the Stl'atl'imx Tribal Police. "Skatin (or Skookumchuck) is located on the east side of the Lillooet River, on the 19-Mile Post of the old Harrison-Lillooet wagon road (about 35 kilometres from the head of Harrison Lake). Before the arrival of European settlers, this community was considered to be the largest on the lower Lillooet River, comparable in size to the pre-contact village of present-day Mount Currie (or Lilwat'ul)." Visit Skatin's website for more information. The Samahquam Nation / Baptise Smith is 1 of the 10 communities served by the Stl'atl'imx Tribal Police. "There was a valley-wide outmigration which began in earnest around 1950, because of the isolation and absence of services, opportunity and jobs. As a result, the Samahquam Ucwalmicw had no permanent resident population on their Indian reserves of Baptiste Smith 1 and 1a, Samahquam IR1 and Sachteen IRs 2 and 2a before 1990. This began turning around in the mid-1980s, when Samahquam the leadership secured Canada Employment support and used band funds to begin planning." For more information please visit Samaquam's website. The T'it'q'et Nation / Lillooet is 1 of the 10 communities served by the Stl'atl'imx Tribal Police. "We have occupied the traditional lands within the St’at’imc Territory for thousands and thousand of years. Our ancestors have lived and survived off the St’at’imc land. We live off the land along with surviving the modern world. Like our ancestors before us, every summer is when we’re at the fish rocks getting ready to can, dry or smoke our fish for the winter. We pick our medicines and berries from our beautiful mountains. We hunt and give thanks to the animals. We are the Peg’pig’lha Clan of the St’at’imc Territory." For more information please visit T'it'q'et's website. Sekw'el'was / Cayoose Creek is 1 of the 10 communities served by the Stl'atl'imx Tribal Police. "Sekw'el'was/Cayoose Creek is located near town of Lillooet. Made up of three reserves; 720.1 hectares. Main community is on Cayoose Creek I.R. No. 1and services three reserves. The reserve was established August 29, 1881. Its water is supplied by piped water system, community well and reservoir; sewage is disposed in septic tanks. Services, such as health care and fire protection, etc., are provided in Lillooet. Sek'wel'wás (Literally: broken in half,refers to big rock)"
For more information please visit Sekw'el'was' link. Tsalalth/Seton Lake is 1 of the 10 communities served by the Stl'atl'imx Tribal Police. "We, the Tsal'alhmec, original caretakers of our land, respect the wisdom and knowledge from our ancestors and take pride in our healthy, self sustaining community. The berries in our native land are one of our main resources. These are some of the berries our land provides us with: Currants, Soap Berries, Huckle Berries, and Saskatoon Berries. The water provides us with various types of fish. In Seton's two beautiful lakes you will find Rainbow Trout, Mountain White Fish, Dolly Vardon, Pink Salmon, Chinook, Coho, and Steelhead. St'át'imc people have always shared the land with other living creatures. In this area we often see bears, deer,eagles, hawks, owls, cranes, wolves,bob cats, and cougars." For more information please visit Tsalalth's website. Ts'kw'aylaxw/Pavillion is 1 of the 10 communties served by the Stl'atl'imx Tribal Police. "Ts'kw'aylaxw First Nation aslo known as Pavilion Indian Band is located in the south central interior of BC, approximately 40km northwest of Lillooet and 70km west of Cache Creek. The Band has eight reserves but reside on only four of the reserves. 28% of the members live on-reserve and 72% live off reserve." For more information please visit Tskw'ay'laxw's website. Xaxli'p/Fountain is 1 of the 10 communities served by the Stl'atl'imx Tribal Police. 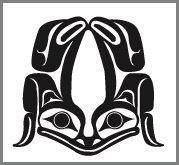 "Xaxli’p “Mission Statement” is to be proud, independent, self-sufficient Xaxli'pemc and continue to pursue a land settlement with the Canadian Government; Work with the best interest of Xaxl'ipmec with support, trust and respect of one another. For all to be opened minded. Xaxli’p formally known as Fountain Band, is a First Nations government located about 10 miles (15km) from the Village of Lillooet on Highway 99 north, in the Central Interior-Fraser Canyon region of the Canadian province of British Columbia. Xaxli’p is a member of the Lillooet Tribal Council, which is the largest grouping of band governments of the St'at'imc people (a.k.a. the Lillooet people). Other St'at'imc governments include the smaller In-SHUCK-ch Nation on the lower Lillooet River to the southwest, and the independent N'quatqua First Nation at the farther end of Anderson Lake from Seton Portage, which is the location of three of the reserve communities of the Seton Lake First Nation, aka the Seton Lake Indian Band." For more informatoin please visit Xaxli'p's website. Deal.org is a Canadian "for youth, by youth" crime prevention program based in Ottawa. Through our website, presentations, and discussion forums, we provide as much information as we can on issues affecting youth in order to empower everyone to make healthy, informed decisions and get involved in their communities. The Justice Institute of British Columbia (JIBC) is Canada's leading public safety educator - a dynamic post-secadary institution. Practice the P.O.P.A.T that is required for the application process before your actual P.O.P.A.T. "Be Fit, Be Prepared, Be Tested"
Police International has retired Police Officers who have a served within the policing community over 60 years (combined). This site is a resource for Police Officers and the general public to have access to Police and Sherrifs Departments from one source. "Linking the Law Enforcement Community Together"